1. The Great Plains wolf—also known as the Buffalo wolf or Loafer—once roamed the area from southern Manitoba and Saskatchewan, Canada to Northern Texas. This medium-sized wolf can be any color. 2. Everything is perfect coming from the hands of the Creator; everything degenerates in the hands of man. 3. Aesop’s “The Wolf in Sheep’s Clothing” A wolf found great difficulty in getting at the sheep owing to the vigilance of the shepherd and his dogs. But one day it found the skin of a sheep that had been flayed and thrown aside…so it put it on its own pelt and strolled down among the sheep. The Lamb that belonged to the sheep, whose skin the Wolf was wearing, began to follow the Wolf in the Sheep’s clothing…so, leading the Lamb a little apart, he soon made a meal off her, and for some time he succeeded in deceiving the sheep and enjoying hearty meals. Moral: Appearances are deceptive. 4. The Tiberan wolf lives in mainland China, Manchuria, Mongolia, Tibet and southwestern Russia. This medium sized wolf has long, lightly colored fur. 5. 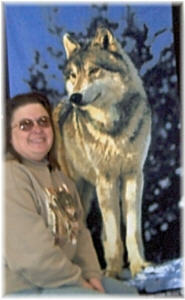 Wolves are important totem animals in many Native American cultures. In these cultures, wolves are not perceived as competitors but respected as teachers and guides in the ways of the wild. 6. Wolves are often relocated in a process called “soft release”. The wolves are kept in pens to help them adjust to their new environment for several weeks, which eliminates the wolves homing instinct and prevents them from trying to return to their original territory. 7. The time will come when men…will look on the murder of animals as they now look on the murder of men. 8. Protection for wolves in Russia is limited to a few nature reserves. Elsewhere throughout the country, wolves are routinely persecuted, and in some regions bounties are paid for their pelts. 9. Wolves are carnivores, but they also eat earthworms, grasshoppers and berries and sometimes fish. 10. Wolves can eat up to every five to six hours when food is plentiful. They can also fast, living on scraps for two weeks when food is scarce.